Our best soundtrack tournament continues with two new titles. 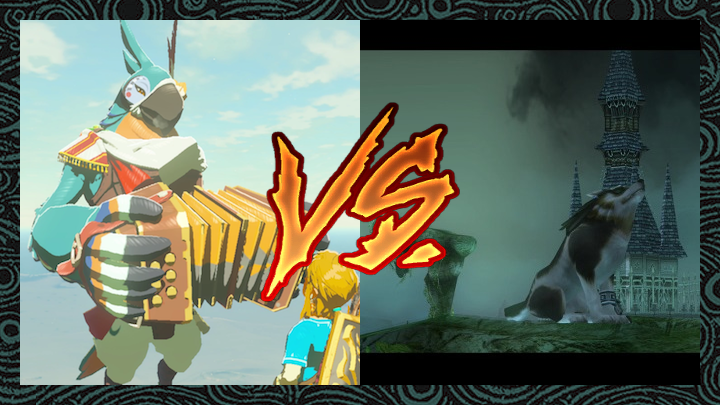 As A Link to the Past and Ocarina of Time duke it out in Tuesday’s poll, Breath of the Wild and Twilight Princess step into the fray. Breath of the Wild has gone farther than many fans would have thought in the tournament so far. Fighting off both doubt and adversity, this modern OST took down fan favorite The Minish Cap in Quarter-Finals and now stands among the final four. The soundtrack’s minimalist focus may not hit home for some, but several exceptional songs in Breath of the Wild continue to be brought to the table as some of the series’ best. It’s going to be a hard hill to climb, but we may just have a Cinderella story on our hands with this great soundtrack. Many voters have already named Twilight Princess the uncrowned champion of this best soundtrack tournament. This GameCube / Wii classic didn’t have it easy in its first two rounds either, as it clashed with fellow heavyweights The Wind Waker and Majora’s Mask. Either of those bouts could have served as the tournament final, and Twilight Princess came out victorious in both. With a truly cinematic score and plenty of memorable tunes, this soundtrack could once again taste victory this round and move on to the finals. We will post a Semi-Finals voting page this Tuesday and Thursday. Once voting pages for all Semi-Finals bouts have been posted, there will be a one-week break before the Finals begin.